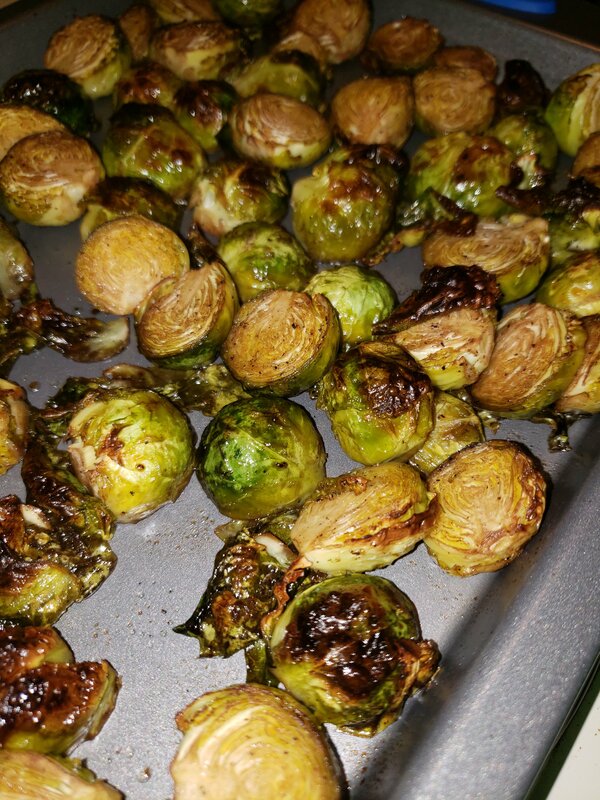 This week’s “In The Kitchen with Sharky and Jackie” is something I never thought I would say…BRUSSELS SPROUTS!!!! We tried to make these before and they didn’t turn out great but NEVER GIVE UP! 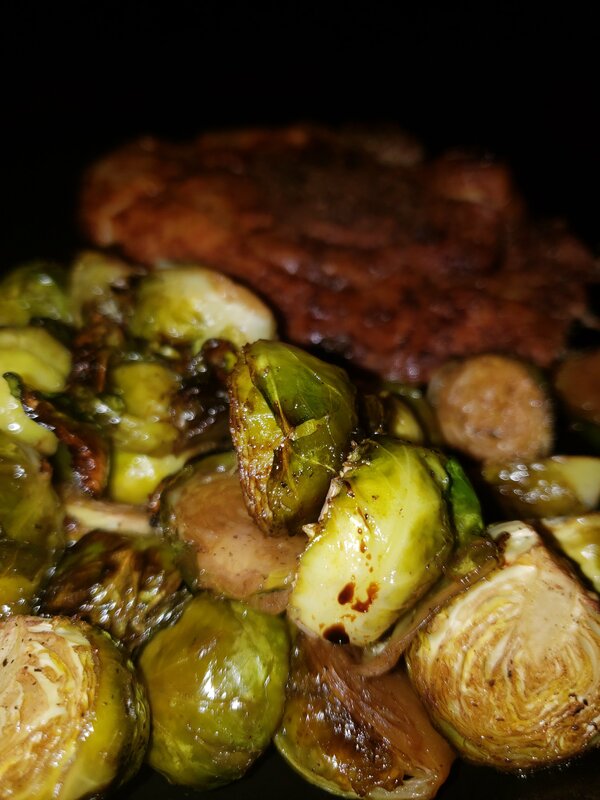 We tried again and OMG…another amazing recipe that we loved and will be adding to our weekly routine…even our extremely picky 12 year old ate them and loved them! Place all of the ingredients into a large bowl and stir everything around until the Brussels Sprouts get completely covered in all that goodness. Pour them out on a baking sheet. Bake for 30 minutes, shaking the pan about every 10 minutes to keep them from sticking and to ensure even browning. That is legit it! These do have a bit higher net carbs than some other vegetables but you can only eat broccoli and cauliflower so much until you need something a bit different. On top of that, Dr. Berg says veggie carbs don’t even count! I was honestly blown away by these…it was like my wife turned a veggie, that I don’t care much for, into a dessert!